If you're a full-figured woman who loves to sew, you're in luck. These days, there are a lot of great plus size sewing patterns, especially if you know where to find them. From summer dresses to formal gowns, there's no end to the lovely clothing you can make to fit and flatter your shape. Kwik Sew has dozens of great patterns specifically created for plus size women. You can find some of these designs in craft stores, but there's a great selection available for purchase directly from the Kwik Sew website. You'll find everything from knitwear to work clothing, as well as dresses, lounge wear, and intimates. Many designs are available in sizes up to 4X. Kwik Sew specializes in patterns that are easy for a beginning seamstress, and the designs are classic and comfortable. K4199 Top, Skirt, and Jacket: Get a complete look with Kwik Sew's pattern that includes a flattering sleeveless top, draped jacket, and knee-length skirt. The pattern is designed for stretch knits, so it's sure to be as comfortable as it is attractive. The casual jacket is unlined with no closure and the skirt has an elastic waist. It fits sizes 1X to 4X and costs about $12.00. K3482 Pants and Shorts: This versatile pattern has designs for pants, shorts, and capri-length pants, all with a simple elastic waist. Perfect for light or medium weight fabrics, you can use these designs with denim, linen, twill, and more. The pattern fits up to 4X and retails for about $7.00. K4200 Pajamas and Loungewear: Use this pattern to make a nightshirt with a hood, a hooded drawstring top, and lounge pants. Because this design is for stretch knits, it's helpful to have sewed a little in the past. However, you don't need to be an advanced seamstress. The pattern fits sizes up to 4X and retails for about $12.00. There aren't any consumer reviews about shopping directly from Kwik Sew, but this company has been in business for decades. They pride themselves on customer service, and there are no posted complaints. Kwik Sew ships most patterns within one business day, and shipping takes about a week. The cost of shipping your order depends on the number of patterns you buy, but it costs about $4.00 to ship three patterns or less. There is a 20-pattern limit on all orders. You can return any pattern in original condition within 30 days. Offering more than 40 different patterns designed especially for full-figured women, Butterick is another excellent choice. You can purchase patterns directly from their website. Butterick's plus size patterns typically go up to size 24W, although some go up to 6X. You'll find everything from swimwear to outerwear, including knit pieces, business casual clothing, and more. They specialize in classic clothing that looks great on a range of ages and body shapes, but don't expect to find youthful styles here. Formal wear options are also very limited. Consider some of the following cute patterns. B5930 Women's Dress: This stylish pattern, designed for up to a 24W, will help you create a knee-length, full-skirted or straight-skirted dress with a detachable shawl collar and a belt. You can choose between a sleeveless design or short sleeves. The structured shape makes it ideal for the fuller figure. The design works well with a variety of fabrics, including silk shantung and broadcloth. It's an easy pattern, although if you choose a patterned fabric, it helps to have some past experience matching prints. The pattern retails for just under $10.00. B5861 Shirred Tunic: This pattern, sized up to 24W, includes designs for four different styles of flowing, flattering tunics. Each design has slightly different shirring, and you can select long sleeves or 3/4-length sleeves. It's ideal for drapey fabrics, including voile and satin charmeuse. 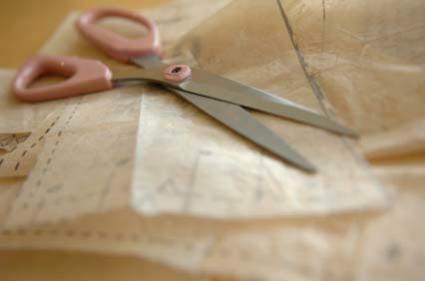 You'll need some prior sewing experience, but you don't need to be an expert. This pattern sells for about $10.00. B6261 Connie Crawford Women's Jacket: This unlined jacket, which comes in sizes up to 6X, is a great project for someone with a bit of previous sewing experience. The design is a great combination of a structured yoke and sleeves and a slightly flared, flowing bodice. Ideal for medium-weight fabrics, such as linen and broadcloth, this pattern sells for about $10.00. You can purchase Butterick's patterns at your local fabric store, but it's easier to shop online to get the best selection. Although there are no online reviews of the purchasing experience with Butterick, this company has been selling patterns for more than 150 years. There are no posted complaints. Butterick ships all patterns the day after you place your order on the website. Shipping costs vary by the number of patterns you order, but you can expect to spend $4.00 to ship three patterns. Most patterns are delivered within seven business days. You can return any unopened pattern within 30 days of purchase, as long as you retain your original receipt and give explanation about the reason for the return. If you're looking for designs that are a little more youthful, BurdaStyle is a great place to shop. You can download any pattern instantly to your computer. BurdaStyle has 190 different patterns for plus size women, all of which are stylish and fun. You'll find casual clothes, formal dresses, outerwear, separates, and more. BurdaStyle specializes in youthful, of-the-moment styles. All plus size patterns go up to a European size 52, which translates to a US size 20. Summer Dress: With sweetly gathered shoulders, an empire waist, and a plunging V-neck, this summer dress flows and flatters. Make it out of chiffon, voile, or another sheer fabric, and allow the satin under dress to peak through. Best for a seamstress with some previous experience, this pattern retails for about $6.00. Cowl Dress: If you're looking for an intermediate-level formal dress with some seriously flattering details, this is a perfect choice. The structured yet form-fitting shape and elegant cowl neckline make it great for a variety of body types, and you can make it from satin, metallic fabrics, or anything with some lightweight body. The pattern retails for around $6.00. Loose Jacket: Making this loose jacket is easy for the seamstress with a little past experience. The open, flowing front means no closures to deal with, and it's unlined and has unfinished edges. Make it out of mid-weight wool in your choice of color. The pattern retails for about $6.00. According to PatternReview.com, one of the best things about BurdaStyle is the way you can choose a design based on your sewing experience level. The wide range of sizes is also a major plus. The company has been making patterns since the 1950s, so they have a great deal of experience in this area. Since BurdaStyle now sells patterns for immediate download, there's no shipping policy or return policy. Simply pay for your pattern and print it at home the same day. Connie Crawford is a pattern designer for Butterick, and she also has her own line of patterns for women called Fashion Patterns by Coni. There's an entire section of designs especially for women from size XL through 6X, and patterns are available for purchase right through the website. You'll find dozens of different designs for tops, dresses, pants, skirts, jackets, and even lingerie. The general style is classic and not especially trendy, but these are great wardrobe staples you can make yourself. All plus size patterns are specially designed to flatter the full-figured woman and come in sizes up to 6X. 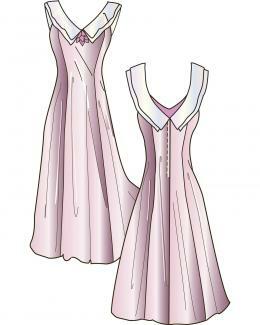 Princess Dress with Collar: This beautiful, sleeveless dress design has flattering princess seams and a wide, flat collar around the V-neck. You can make it long or knee-length. It's perfect for lightweight fabrics like cotton voile or special occasion fabrics like silk. The princess seams make it easy to fit, so this is a good option for a beginner. It retails for $20.00. Shoulder Princess Blouse: This unique design is made to be modified as you choose. You can create the basic princess-seamed blouse, or you can use the pattern as a springboard for making your own dress designs and other clothing. The pattern guides you through getting the perfect fit and works with many different types of fabrics. This is ideal for the intermediate-level seamstress, and the pattern retails for $20.00. Swing Jacket and Pants: This easy pattern gives you everything you need to create a stylish swing jacket and flowing pants in just about any medium-weight fabric, from denim to satin. The design has fun details like batik-printed bias binding and a decorative button. This pattern retails for $12.00. There aren't any online reviews about Fashion Patterns by Coni, but they have been operating as a successful independent pattern company for many years. There are no posted complaints about this business. Fashion Patterns by Coni ships all orders the next business day after they are placed. If you order more than $89.00 worth of merchandise, you can get free shipping. You can also return any pattern in its original condition within 60 days of purchase. In most cases, you'll need to purchase patterns for making your own clothes. However, there are a few resources for free plus size sewing patterns online. If you like one of these styles, you may be able to stretch your sewing budget a little further. Making your own clothing allows you to customize the fit, fabric, and style of the pieces you wear. This is a great way to get the look you want without spending a fortune on custom alterations or designer pieces. What's more, you'll have the satisfaction of knowing your sewed your own clothing.